It’s not common to find a house designed by a Frank Lloyd Wright apprentice that, without emulating the master too much, represents the architect’s views on dwelling and space design. 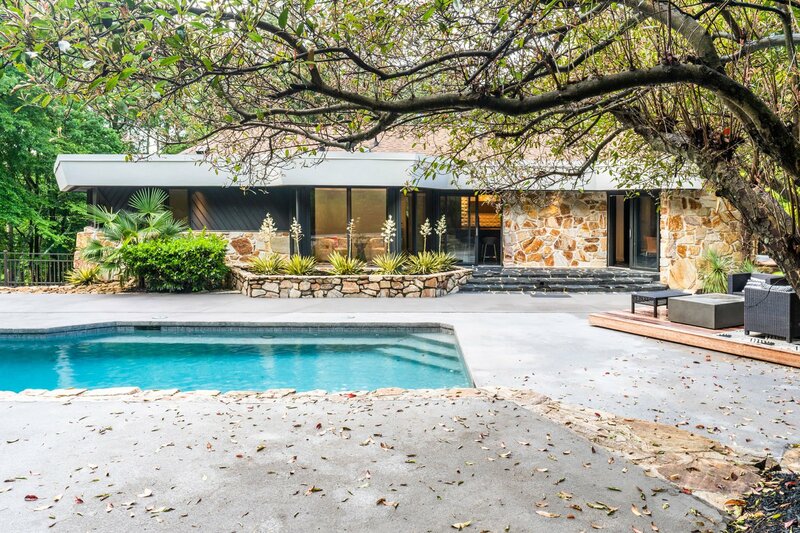 With The Kingloff House – as the property is called – architect Robert M. Green did just that. 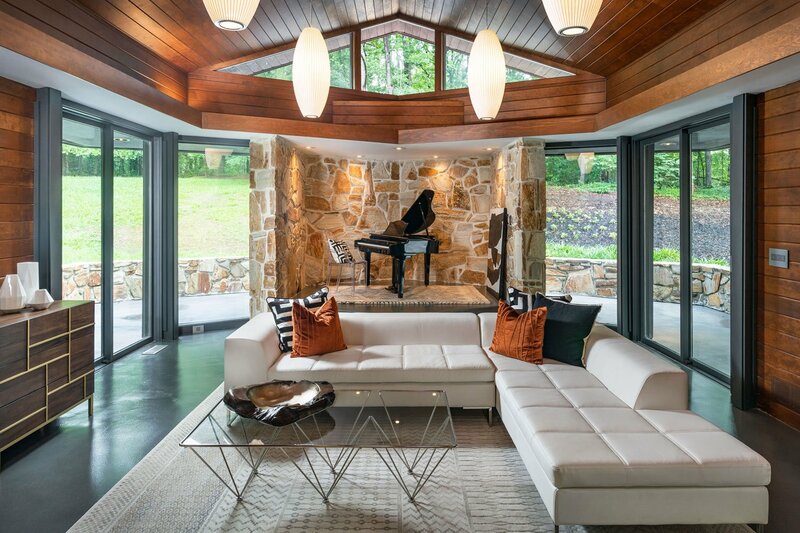 Today, its owner and interior design consultant, Burns Century, shares with us her thoughts on organic architecture as well as her thoughts about the Robert M. Green philosophy. She also focuses on her approach during the renovation process, ensuring the design stays true to the intentions of the architect. 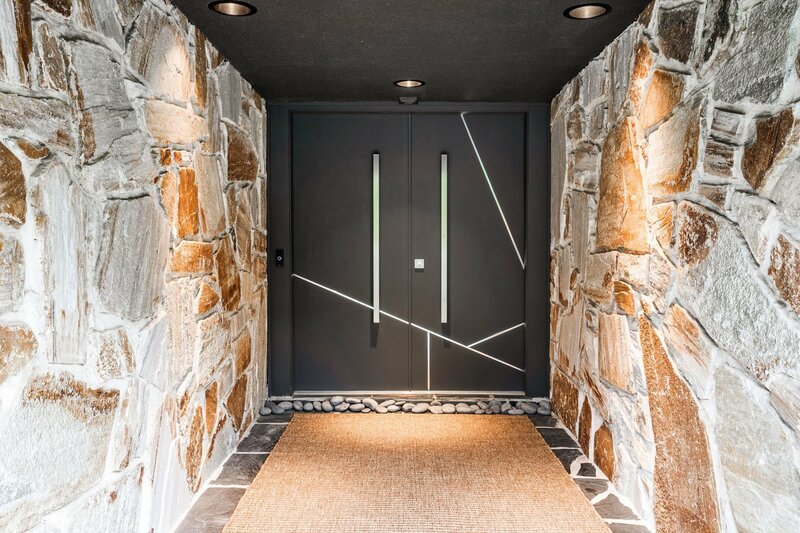 For over two decades I have been an interior design consultant in Atlanta, weaving dreams and ideas into reality through major custom renovations from concept through construction. My passion is to create holistically-designed, soulful and meaningful spaces, products and art that speak to the individual and makes a difference in the lives of those who experience them. How did you discover this house and what particular aspects or features won you over? 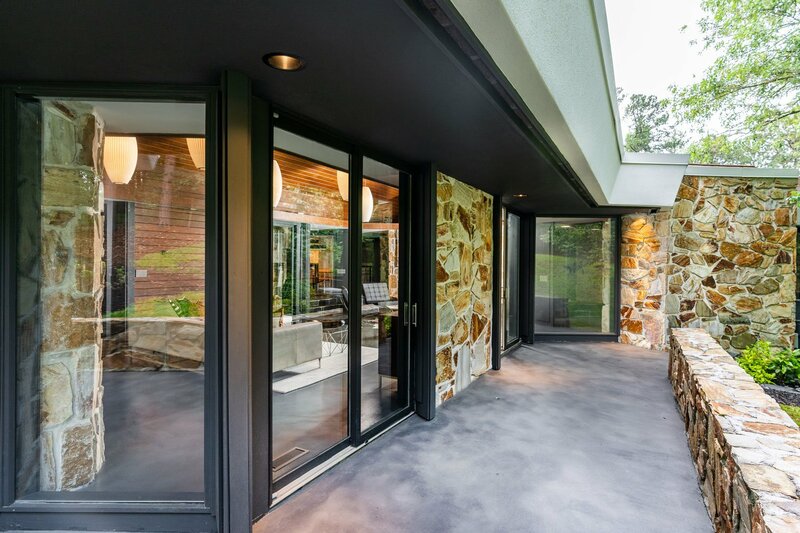 I’m always looking for modern and/or architecturally significant properties to renovate, either for myself or my clients, and noticed this one on Curbed Atlanta. 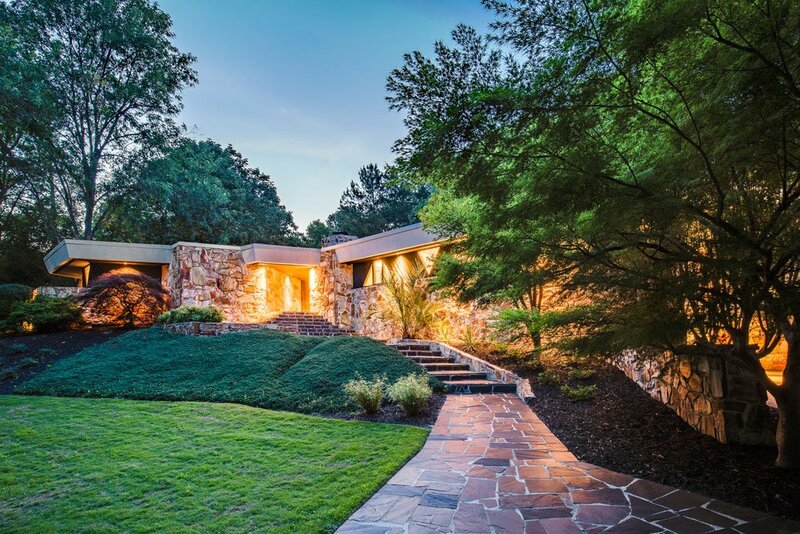 Once I drove up, I knew it was special – great location in the prestigious area of Buckhead and an authentic Modern! 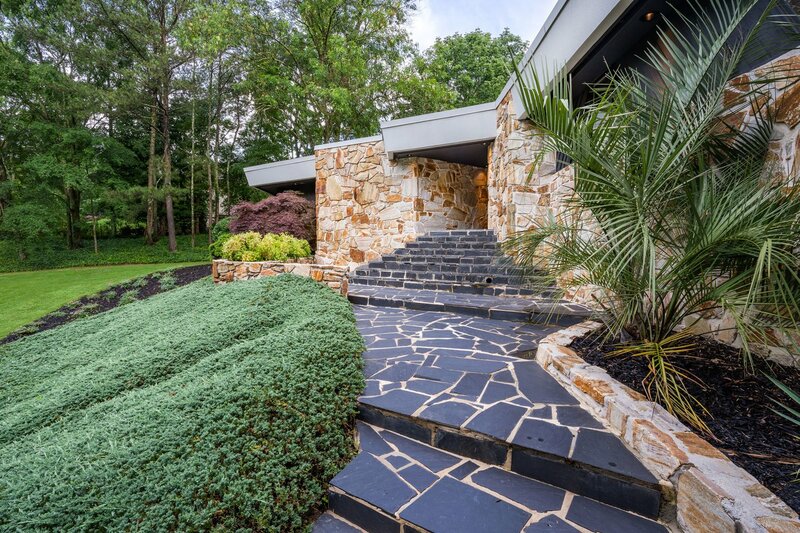 These mid-century modern homes are rare and because of the location and two acres of gated, park-like land, it could have been bought for a new McMansion. Finding something that has great modern architecture bones, but needs enhancing in a major way, is what won me over. The interior was dated to the 80s with elements which were not in balance, the interior and architecture didn’t connect. 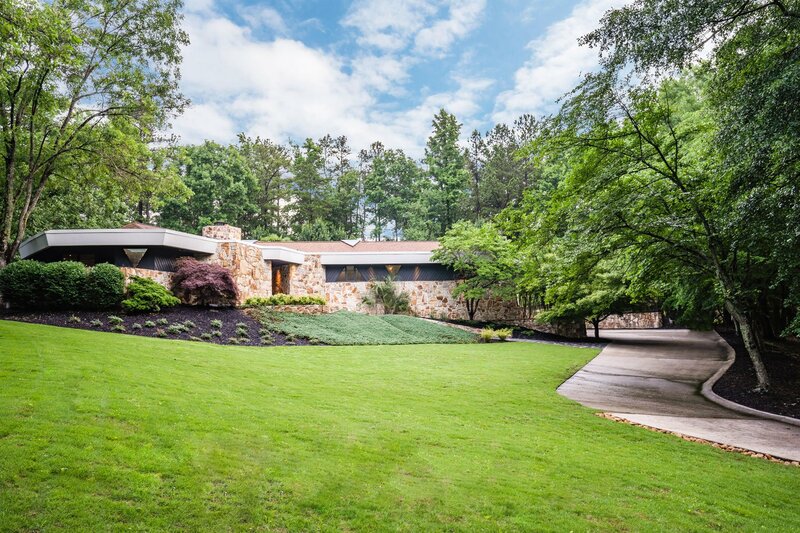 The house was designed by one of the most talented Frank Lloyd Wright apprentice: Robert M Green. What do you think was so special about his approach and organic architecture in general? 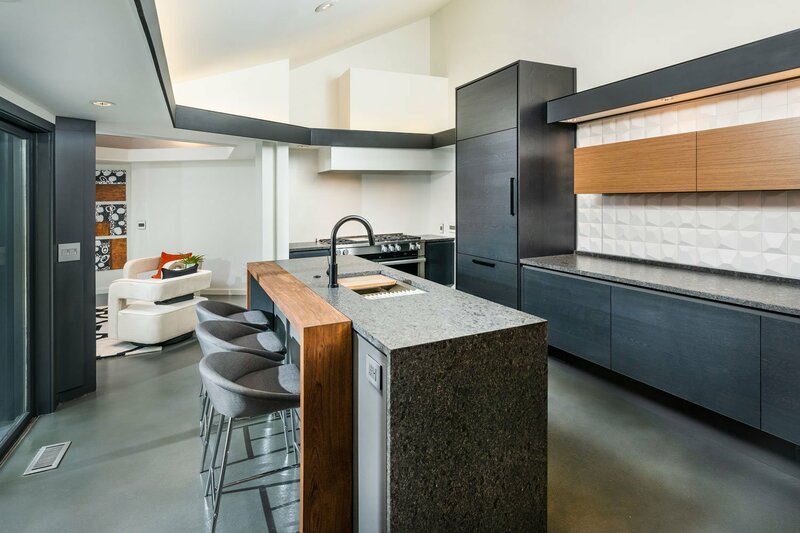 Organic architecture and interiors go beyond the use of natural materials. It’s about the relationship between nature, architecture, how they relate to the interior and – ultimately – with the individual. 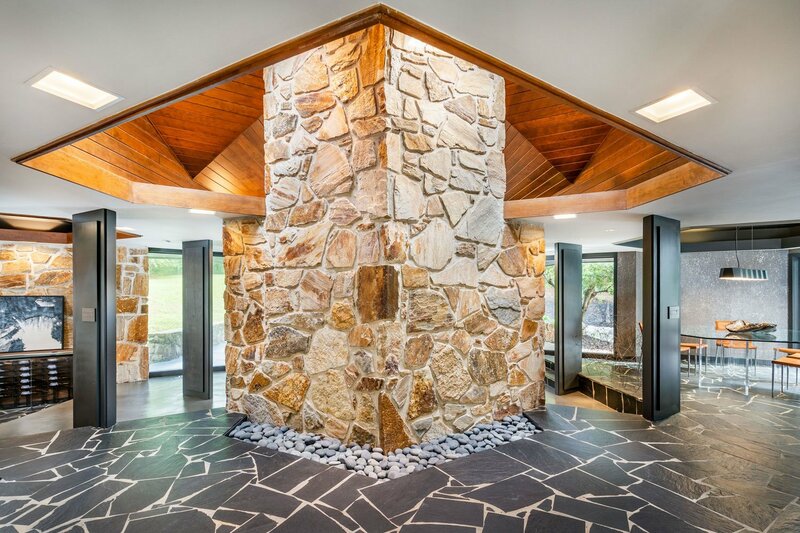 So, even though Robert M. Green incorporated signature organic elements like stone, wood and glass, his approach was not a replica of what Frank Lloyd Wright would have done. By taking Frank Lloyd Wright’s philosophy and applying it to his own originality, he created a special work of art: specific for this site and the particular moment of time. 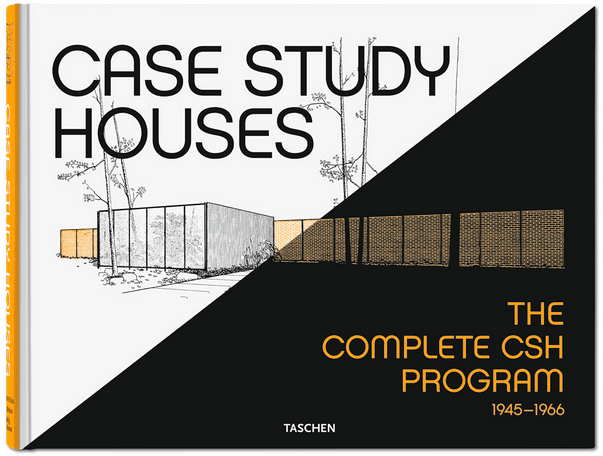 Do you feel a certain sense of responsibility when living in a house designed by such a famous architect? Did you ever live there or what do you imagine it will be like for the new owners? Who wouldn’t. Design has an extraordinary influence on individuals. Ultimately, interior design exists for the ones who live in a house and experience it. It’s about what it does to connect, inspire and elevate, creating warmth and harmony. With this, comes a great responsibility. Whomever will live in this house will enjoy a piece of functional art – a perfect balance of form and function – that has incredible indoor/outdoor living. What did you know about Green, before buying the house? Robert Green was instrumental in bringing the ideas of Frank Lloyd Wright to Georgia. It’s unknown, exactly, how many of his homes still exist but experts believe they are in the dozen. The idea that his influence – and the inspiration of Frank Lloyd Wright – will continue through the restoration of this house, is important to me. You recently supervised the house renovation and design. What was your approach to the project? Staying true to Green’s work of art and applying his philosophy while embracing today’s modern living. Nurturing the idea of connection between art and nature, form and function, inside and outside. One example is the observation we made, early on in the concept phase, of the sun shining through the triangular windows and the abstract geometric patterns it creates on walls, ceilings and floors. 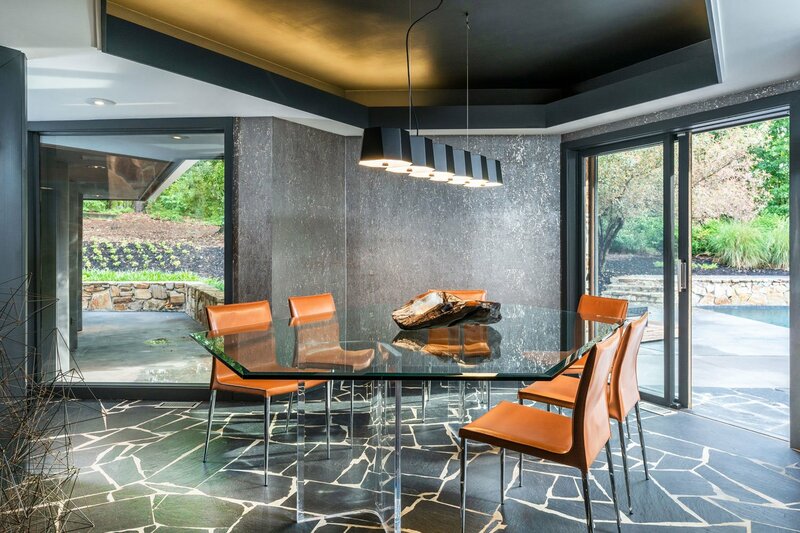 We continued this geometric play of light, selecting lighting fixtures that do the same. Overall, we maintained and enhanced Green’s signature elements as wood ceilings, massive stone walls, slate flooring and glass, but removed all the other conflicting elements and replaced them with a harmonious balance of wood, water, metal, stone, concrete, glass and light throughout. We modified some openings to create a better flow and openness but kept the angular paths. What is your favourite part of the house and why? There are too many to pinpoint only one. The overall holistic feel of the house, the distinctive three-wing layout, the site plan that allows for an abundance of natural light and views from every room yet with maximum privacy, luxurious top-line amenities and finishes that create a sanctuary. What do you imagine it will be like for the new owners to live in the house? The new owners will be able to add their signature to the canvas we’ve created by curating furniture and art, to make it their own home. 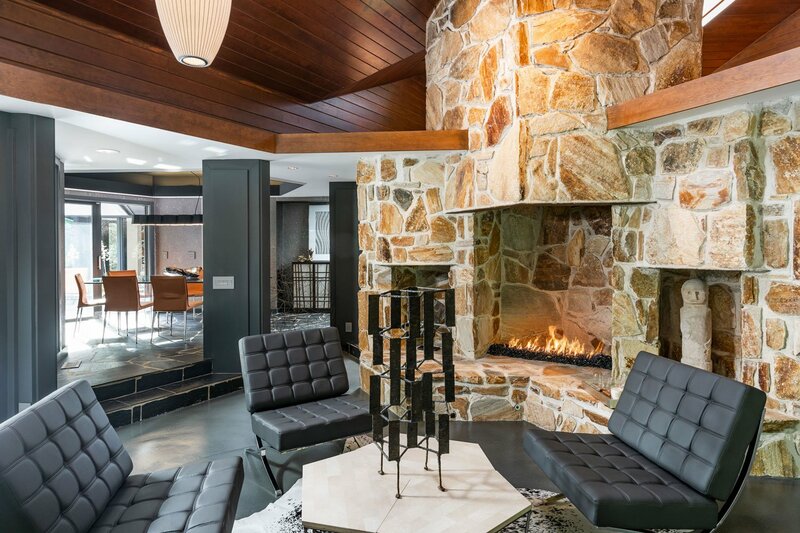 Everything, from mid-century to contemporary design, will mingle well together in this house. Last but not least, do you have any tips for people interested in buying an historical house today? What should they pay attention to and why? My advice is to stay true to the architecture of the home. Curate everything with purpose. Keep the architecturally significant elements and enhance them. I will leave you with a thought. Both Frank Lloyd Wright and Robert Green were always looking for new and innovative approaches to architecture, they didn’t do what everyone else was doing. 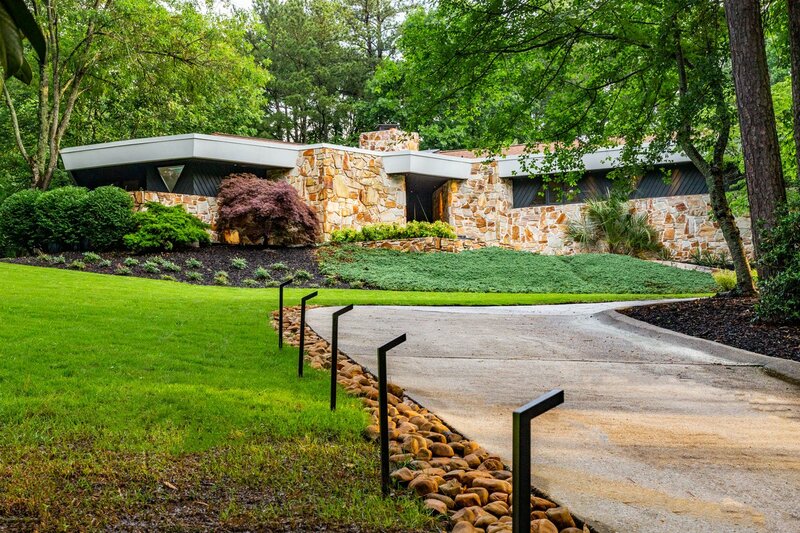 Robert Green didn’t replicate Frank Lloyd Wright, but applied his originality. Can you imagine what Green or Wright would be creating today?